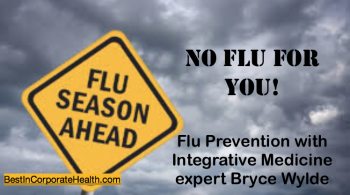 Flu Prevention Bryce Wylde: No Flu For You! Tis the season…..Flu prevention should be at the top of our minds. Flu costs the U.S. approximately $10.4 billion in direct costs for hospitalizations and outpatient visits for adults. 2016: In the US, the flu accounted for $5.8 billion in other healthcare and lost productivity costs. It is key for companies to promote flu prevention in the workplace. 2011: Canadian workers took an average of 9.3 sick days. Although nine days may not seem like a lot, when you do the math based on salary cost for lost time, those absences equal approximately $16.6 Billion, not including the price of replacement workers. The flu can be deadly. Flu prevention should be a priority. Australia gives us a warning of what to expect from flu season. This year, Australia had a very tough flu season. Flu prevention needs to be a priority. The good news is…..flu prevention is very consistent with general good health principles, and the prevention of chronic disease. 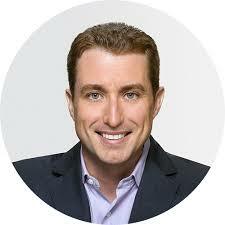 In this show, we speak with Bryce Wylde, integrated medicine expert, host of Wylde on Health. Join us for an evening with Bryce Wylde and Dr. Mansoor, clinical genomicist November 9, 2017, 7 pm – Free Webinar What Genomic Testing can do for us. Webinar attendees will receive a promo code for a 50% reduction on their genomic test. Eating or drinking too much sugar or refined foods curbs immune system cells that attack viruses and bacteria. This effect lasts for many hours after downing a couple of sugary drinks. One powerful solution is to eat soup! Research shows that astragalus root (a Chinese herb used to ward off flu), has powerful immune-enhancing properties. The sliced, dried root is available in specialty health food stores, Chinese grocery, and herb stores. It adds a pleasant, sweet taste when simmered in soups. Shiitake mushrooms, onions, and turmeric spice also naturally boost immunity. Garlic and onions have natural and powerful anti-viral and antibiotic effects; ginger and turmeric, a natural anti-inflammatory agent. Replace traditional pasta noodles which are immune suppressing with black bean or shirataki noodles which are carb free! Instructions: Place oil in a soup pot on medium heat and add onions, garlic, ginger, and tumeric powder and sauté for about 5 mins or until translucent. Add mushrooms, carrots, broccoli, astragalus root, choice of stock and an additional 3 cups water. Bring to a full boil then reduce heat and simmer for 30 minutes. Add the tamari and adjust salt to taste. Let cool for 30mins. Remove the astragalus root pieces. Garnish with scallions and chives and serve while hot. Bryce Wylde is an Integrative medicine expert, clinician, television host, educator, author, and philanthropist, and host of Wylde On Health. 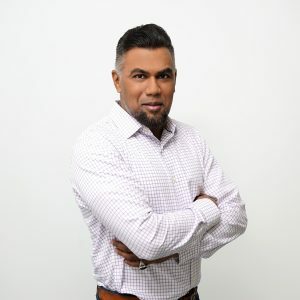 Associate Medical Director at P3Health | CityTv Health Expert | Medical Advisor DrOZ show | Director My Health Report. Bryce makes supplementation a targeted science, searching the world for the cleanest, best sources for ingredients, creating the purest, most effective supplements. 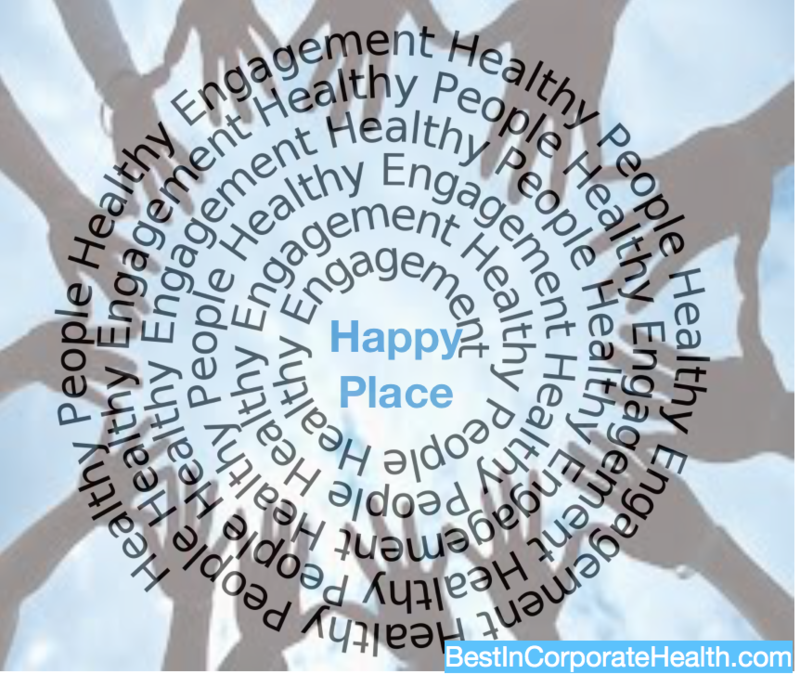 Corporate health programs…what a wonderful way to affordably make the world a happier, healthier place. Personalized functional genomics aims to prevent the onset and development of chronic diseases by identifying specific lifestyle recommendations by analyzing an individual’s unique genomic profile. By synchronizing our nutrition, supplementation, exercise, environment we can truly optimize our health based on our own genetic composition, a far more exact science than abiding by statistics from a test group or the general population. 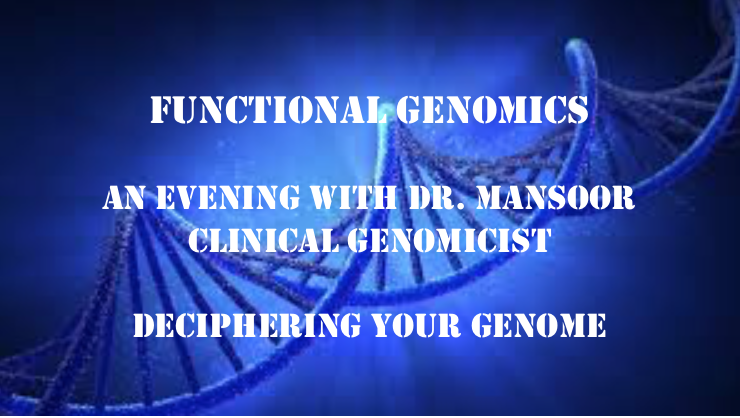 Dr. Mansoor is one of a handful of people in the world that can look at the entire human genome and decipher it . Dr. Mansoor went through the entire genome and identified the functional lifestyle pathways set out in our genome that are critical to disease prevention and wellness. With previous genetic testing, we could determine our susceptibility to disease. 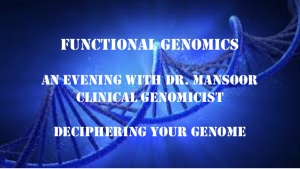 Dr. Mansoor with functional genomics allows us to find the pathways that determine our health outcomes by examining the ways our genes are expressed, and how they interact with our lifestyle choices and the environment. Think of our genomic profile as our operating manual. This operating manual holds the vital inner minutia of how we work, how are we metabolizing our nutrients, our inner pathways….. A users manual made of 23 chapters – our 23 chromosomes. Each of these chapters contain the instructions, genes that dictate the body’s decision processes. Adrenalin: A gene deletion slowing our ability to rid adrenalin – its impact on performance, focus, obsessing on negative thoughts, depleting the adrenal glands, fatigue, heart disease, mental health issues…Dr. Mansoor is the only genomicist that has the ability to test for this gene deletion. 2 genes that work in tandem that determine how quickly we clear dopamine…..leading to either bingeing or addictive behaviors. Discovering our hormonal pathways effects on many diseases, including breast cancer and prostate cancer. Understand why certain medications (birth control pill) and supplements are detrimental to out hormonal pathways. Exercise….How we are exercising – with our very best intentions….are we hurting ourselves? How can we focus our exercise & physical activity on optimizing our genomics. Detoxification: Genomic testing identifies potential inability to resist different toxins, and the genomic screening can provide vital clinical insights needed to formulate effective, personalized interventions. Detoxification is a critical innate function, and without it, we are far more susceptible to oxidative stress and disease. Empathy—the ability to read and understand other’s emotions, needs, and thoughts—is one of the core competencies of emotional intelligence and a critical leadership skill. It is what allows us to influence, inspire, and help people achieve their dreams and goals. Empathy enables us to connect with others in a real and meaningful way, which in turn makes us happier—and more effective—at work. Seating is limited in our functional genomics webinar. “contact Us” scroll down the form – just enter name, email, and enter “functional genomics” – we will send you your webinar registration. Talent engagement is a process – Analyzing the engagement culture encourages us to scientifically identify the angles of creating employee engagement. 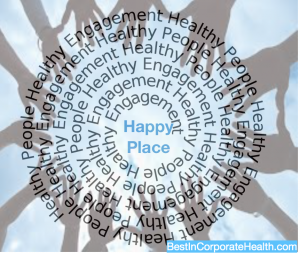 Creating an engagement culture with health, checks off many boxes on the corporate wish list. It’s common knowledge that employee engagement is imperative to the success of an organization. Engaged employees work harder, much better retention, more conscientious, become brand ambassadors, are more loyal…and let’s face it – are much more of a pleasure to work with. We can look at different organizations and see various levels of engagement, or even within the same organization…..By analyzing the multi-faceted dynamic components of our engagement culture, we understand how there is a synergy between multiple forces. These forces will vary by ages and stages…keeping our eyes on these moving parts, will help us promote health engagement and the engagement culture much more scrupulously. Focusing the engagement culture through health, just makes sense. We can almost interchange the words healthy and engaged, so let’s accomplish both. The Kinetics of the Engagement Culture…. Emotional: Helps us feel balanced from the engagement. Family: This engagement culture will carry over to my family – it will enhance and support family life, not make me feel like I have to choose between work and family. A 2014 employee engagement study found respondents (89%) would try a sustainability tactic at home that was introduced at work. The results emphasize how powerful the workplace can be in driving broader behavioral change and impact. Competitive Edge: Healthy competition is an intrinsic motivator. Leverage it – corporate challenges are key to engagement! Willis Tower’s Watson’s Global Benefits Attitude survey found that the 56% of employees believe their employer now has a role to play in helping them live healthier lifestyles and 3/5 employees view managing their health as a top priority in their life. Cultivating a culture of wellness is a cornerstone in the engagement culture. Health Vs. Wellness…What is the Difference? Health vs. wellness, the answer is in the past and present and creating a better future. I heard a brilliant expression from a colleague this week – a number of years ago a doctor told her she was healthy, not well. What is the difference? 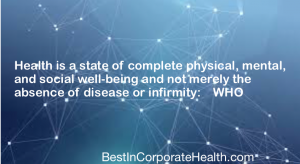 Healthy: not diseased…… Wellness brings out the deeper meaning of health, which can be glossed over in health programs. By differentiating between health vs. wellness, we expose the many underlying health saboteurs, which unknowingly compromise our health. Think of wellness as the opportunity for health engagement. The word “health” conjures up visions of restrictive, long lists of ” I shouldn’t”, no fun to many people. Wellness can provide the physiological, emotional and social engagement and camaraderie for sustainability and adherence to a health and wellness program…and ROI. 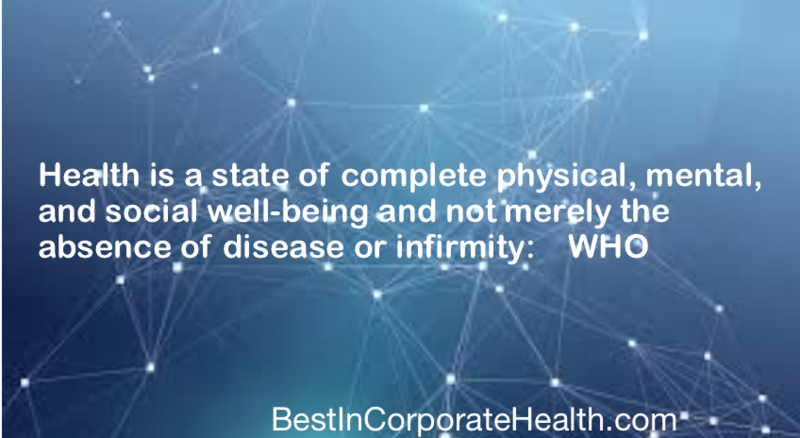 The World Health Organization (WHO) defined health in it’s 1948 constitution as “a state of complete physical, mental, and social well-being and not merely the absence of disease or infirmity.” Sounds Utopic. In pursuit of the broader WHO goals for health evolved our healthcare system. The healthcare system is financially depleted, and has become a “sick care” system. We diagnose, try to fix illness. Whether we get caught up in blaming the politicians for our healthcare crisis, we cannot ignore the erosion is largely due to unnecessary illness. Going forward, to achieve the intent of healthcare, we need to be inclusive of a thoroughly articulated view, role and definition of wellness. Healthcare and medical diagnostics are vital, however, we need to all become our own advocates – and take charge of constantly seeking further wellness. Looking at out health is more of a current status. And whereas we know that certain diagnoses such as metabolic syndrome, pre-diabetes, carcinoma in situ, are definite calls to more proactive action -the goal of wellness is to prevent the pre-diseased state. What is wellness? Wellness is the #1 opportunity we have in our lives. We have hundreds of options within our control to prevent even a pre-diseased state. They are all often used interchangeably. Comparing does not necessitate an adversarial tone, rather, there are nuances that suggest a symbiotic relationship. 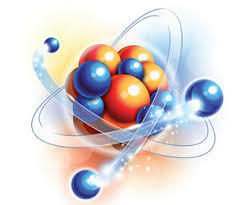 They are subsets within each other, necessary partners promoting each other. This general malaise in health is what I call health presenteeism. We know work presenteeism is being at work in body – but not being fully there in mind – not fully functioning and is usually attributed to health issues. Health vs. Wellness – overcoming Health Presenteeism…..
We all know the Rx for health: Don’t smoke, eat right, exercise, good sleep, manage stress. Go for regular physician check ups. Imperative. Why are these imperative to wellness? Let’s start digging. Optimizing our digestive health. We all know the cliche we are what we eat. What his really implies is we are what we eat, digest and absorb. Our digestive tract serves many complex functions of our health. 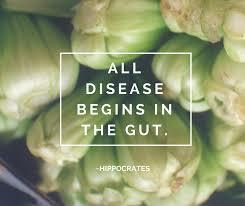 Hippocrates said “all disease begins in the gut”. Our gut performs an infinite number of daily tasks including digestion, absorption, influencing our mood with the production of serotonin, is the first step of our immune system……Our digestive tract takes thousands of attacks daily from poor food choices, digestive strain, medications, ingestion of toxins, viruses and bacteria, stress…and a central focus of our wellness efforts must be on optimizing our digestive tract. Eliminating physiological stressors in our lives. Oxidative stress and inflammation: Proven repeatedly to be at the root of all of our chronic illnesses. Understanding what it takes to create a healthy inner ecosystem. The science of happy. The #1 predictor of productivity is happiness. Happy is far more than accomplishing our goals. Happiness also must have wellness embedded into its roots. How does this impact our wellness programs? A 2016 study by Global Corporate Challenge (GCC) after surveying employees from 500 organizations in 70 countries found happy employees are more productive at work. The findings confirm the role emotions play in business, and that happiness is critical for productivity and talent retention and not a job perk or something that is just “nice to have.” The connection was clear: happy employees are high performing employees. Enjoying and embracing wellness. None of us are looking for another miserable task in our lives. Wellness practices must be engaging, integrated into a person’s life, welcomed, and perceived as fun and of great value. If we are not feeling the rewards of our wellness efforts, and we feel these practices are another strain, they are erratic and short lived. Wellness should be freedom and liberation, not rigid, restrictive or inflexible. Wellness is a state of mind. It is a desire to optimize our health, a partner in our raison d’être, a joie de vivre. Through wellness we put a jump in our steps and feel capable of compartmentalizing and managing the many challenges life inevitably serves. our blood pressure and blood sugar are normal, our diagnostics and biometrics appear acceptable – but something is just not right. It must be stress is the usual conclusion – Yes – it is stress – but we need to look at stress at a much deeper level. True wellness is helping everyone to become their own health ambassador, helping them understand the many levels of wellness, far deeper than the superficialities. Even if we are eating right, exercising – there is great variance there, and maybe our overall wellness choices, when put together – are not nourishing us at the control centers of our body – our cells. Wellness comes from much deeper than our outer facade. Wellness comes from our cell-being. Cell-being creates our inner magic kingdom that is hostile to disease, and takes the cacophony of our daily lives and creates a symphonic inner ecosystem. Personalized Health vs. wellness programs…..Yes…..We get VERY personal……right down to the DNA….